Home » Nutrition Tips » Where to buy Chia Seeds in Singapore? Chia seeds are a pretty awesome supplement to any diet as the tiny black seeds are super nutrient dense and convenient to consume. Just a tiny amount packs healthy omega-3 fats, dietary fibre, protein, vitamins and minerals. It is also great for dieters because of its ability to suppress appetite, and regulate blood sugar. It’s usefulness does not stop there, chia seeds form a gel when mixed with liquid and can be used to replace eggs in recipes, or as a thickening agent in soups and sauces. Furthermore, it is convenient to consume since its flaxseed superfood equivalent needs to be grounded up before it becomes readily available for the body. Chia seeds are tasteless on its own, making it versatile to add to other foods. It absorbs the flavour of the liquid you put it in. You could easily add them to smoothies, salads, and yoghurts. It also can serve as an egg-replacement when made into a gelatine-like substance. Since it’s high in fats, some people may use it to replace butter. I usually add two tablespoons into my breakfast protein shakes to get my fats, dietary fibre, and to thicken up my shake. BTW, it does not expand right away so I would either have to wait about 10 minutes or what I like to do is to prepare my shakes the night in advance just so that it gives time for the chia seeds to to become nice and fluffy when I drink it in the morning. My mom likes to eat her chia seeds in hot milo while my dad uses it to top his yoghurt. Awesome! 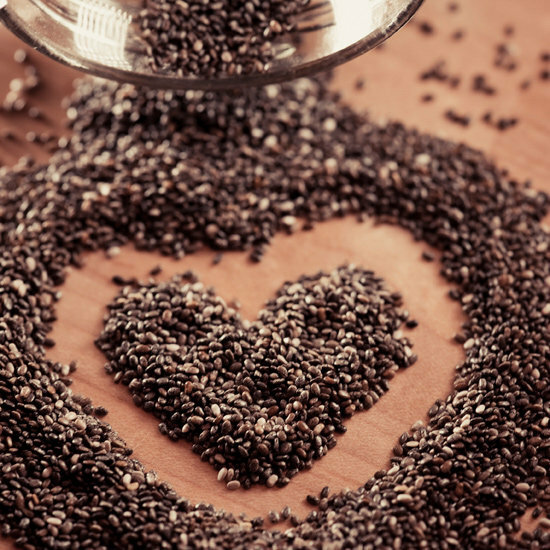 If you want to learn more, here are 10 awesome uses for chia seeds. I thought I would share some of the different brands of chia seeds I found on my trip to Jasons Market (Ion) recently. They have three brands of chia seeds: Bob’s Red Mill, Simply Natural, and Nutiva. If you are curious, I purchased Nutiva because it was cheaper for its net weight. And I liked how it came in different forms: original (black), white, and milled. The different forms have the same benefits, so the deciding factor is really personal preference. I recently too bought Chia seeds from an online local shop, BGO Ecoshop. At its original price, it is slightly more expensive than Nutiva brand found at Jasons market. However, if you check out their bundle offer, you can get two 500g bags cheaper with more convenience. I also appreciated their quick and efficient service. I made my purchase on a Sunday night, and my payment was immediately processed the very next morning, and delivered within 3 working days (Thursday morning)! The package I received was wrapped in bubble wrap (awesome!) and included a personal note written on the invoice, thanking me for my purchase. I thought that was really sweet, and I would definitely purchase from them again. Iherb – note that Iherb is shipped from the US and you would have to account shipping fees. Four Seasons Organic Market – may be the cheapest way to get chia seeds so far, since I read in a forum that a customer bought chia seeds 1kg for $47.80. GNC – unconfirmed because I could only find chia seeds from its US website, not Singapore. Do you add chia seeds to your daily diet? Did I miss any places that you can get chia seeds? 21/3/2014 - I found chia seeds going at SGD14.80 (340g) on qoo10.sg, who knew?! Qoo10.sg is really such a treasure, I should do a post soon about the randomest stuff I buy from them because it’s always so affordable!! That place is so bad for shopaholics! 11/7/2015 – Live and breathe super foods? You may want to check out www.superlife.co because they ensure bundles of premium grade chia seeds and quinoa land at the convenience of your doorstep every month! Otherwise, you can also purchase the chia seeds in 150g or 500g packages. This entry was posted in Nutrition Tips and tagged chia seeds, superfoods. Bookmark the permalink. Hi there, I just read your post regarding chia seeds. I have been consuming Nutiva chia seeds over a year now, and personally felt the benefits of chia seeds. Recently, I have been buying it in bulk since my immediate and extended family members are also consuming chia seeds now. If you are interested, I am selling Nutiva black chia seeds at price of S$19 for local postage in Singapore. You can contact me at superfood99@gmail.com. That’s awesome. Hopefully more people see your comment and we all share the benefits! Holy cow, thank you very much for posting this! It is going to be so helpful when I get Chia Seeds at the market! Fantastic!